Check fraud runs into the tens of billions of dollars per year according to the FBI. It’s estimated that over 1 million checks are forged EVERY DAY in the US. 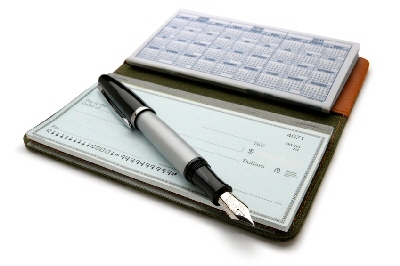 Even as the use of checks is dwindling, paper checks remain the payment type most susceptible to fraud. The best way to protect yourself and your business is to use secure laser checks. A True Paper Machine Watermark. When held to the light, the watermark should be visible. This type of watermark cannot be copied or counterfeited. Visible Fibers. Visible yellow and blue fibers are distributed throughout the check paper to give a visible form of authenticity. This is often an additional charge. Invisible Fluorescent Fibers. Invisible fibers that fluoresce under UV black light provide check authentication and can’t be duplicated by regular printing. Chemical Reactive. A certain class of chemicals that cause the paper to react and change color when attempts are made to alter a document with bleach or another solvent. Optically Dull/Dead Paper. In order to allow invisible fibers to fluoresce under black light or to print with invisible inks there needs to be enough contrast with the surrounding paper. This is accomplished by using optically dead or dull paper. Security Level Toner Anchorage. A saturation treatment is applied to both sides of the paper to provide true document security. This treatment ensures that little or no toner can be removed using tape pulls, creasing the paper will not result in toner removal, and that scraping to remove toner will result in paper damage. It’s important to do everything you can to protect your business from fraud. Even if you are the victim of fraud, showing the banks that you have done due diligence will work in your favor. Of course, we hope that will not happen to you – and using secure laser checks is one of the best ways to keep your business safe. This entry was posted in fundraising, Mail, solutions, workplace and tagged Marketing, non-profit, printing paper, problem solving, solutions. Bookmark the permalink.